A physical disability involves long-term or permanent loss of part of your body’s physical function. It can affect your mobility, stamina or skills in performing tasks. Physical disabilities can be genetic and the result of something that happened during pregnancy or birth or can happen as part of an illness or injury. 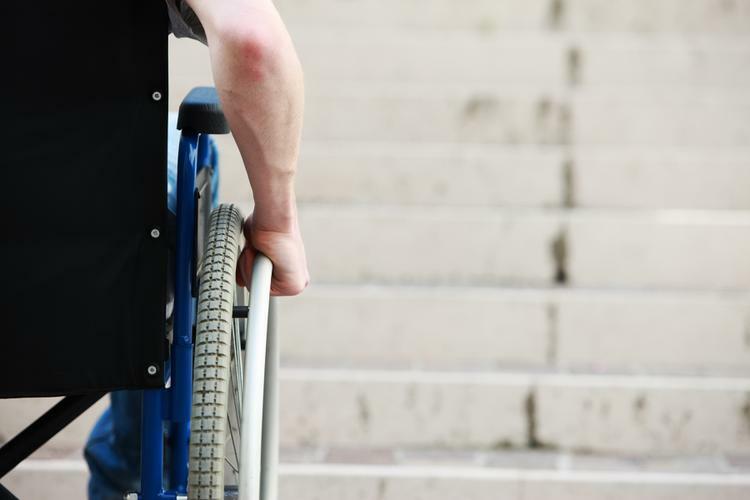 People with physical disabilities experience daily challenges, from getting out of bed in the morning and day-to-day tasks like eating, drinking and toileting to preparing for a social outing. It’s important to be patient and remember most tasks require a little more time and effort for people with physical disabilities. Some physical disabilities are obvious. For example, if you have lost a limb or unable to walk you may need a wheelchair, but some are less obvious, such as epilepsy. Accident or injury - A serious accident or injury that causes an impairment in mobility and/or function. Acquired brain injury (ABI) and stroke - A brain injury that occurs after birth usually as a result of trauma, substance abuse, stroke or disease. Amputation - The removal of the whole or part of the arm, hand, leg or foot due to severe infection, cancer, serious injury or functionality issues. Cerebral palsy - A physical disability affecting movement and posture due to damage to the developing brain during pregnancy or shortly after birth. It can affect body movement, muscle control, muscle coordination, muscle tone, reflex, posture and balance. Epilepsy - A disorder causing nerve cell activity in the brain to be disturbed, leading to fits and seizures. It may occur as a result of a genetic disorder or an acquired brain injury (ABI), such as trauma or stroke. Motor neurone disease - A disease of the nervous system, weakening muscles and impacting physical function. Multiple sclerosis - A disease where the immune system eats away at the protective covering of nerves causing vision loss, pain, fatigue and impaired coordination. Muscular dystrophy - A group of genetic diseases that cause progressive weakness and loss of muscle mass. Parkinson’s disease - A disorder of the central nervous system that affects movement, often including tremors. Polio - A virus that may cause paralysis. Respiratory (lung) disorders such as Chronic obstructive pulmonary disease (COPD) - Lung diseases that prevent proper breathing - two of the most common types of COPD are emphysema and chronic bronchitis.